Western State Ranch Rodeo Association 2015 World Champion Women’s Ranch Rodeo Team was the Flying M Ranch team from Idaho and Nevada. Members are Timmy Lyn Delong, Lacey Thompson, Desi Dotson, and Monel Shelly. Fifteen women's teams qualified for participation in the 2015 world Finals Rodeo held October 29 – November 1 at the Winnemucca Events Complex in Winnemucca, Nevada by each winning a women's WSRRA-sanctioned rodeo. The WSRRA women’s division was added to the Western States Ranch Rodeo Association in 2013 to expand the sport of ranch rodeo. 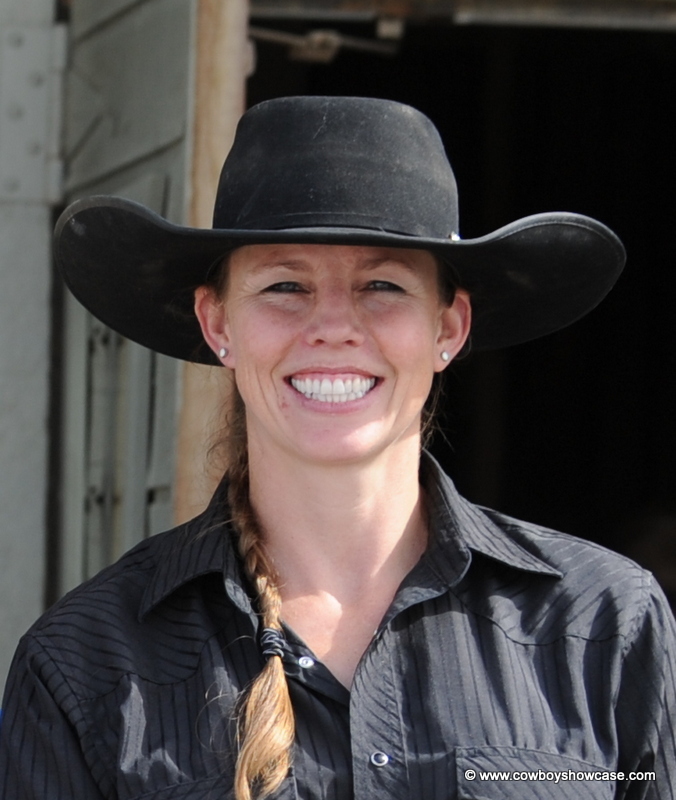 The four champion team members are all highly talented horsewomen who love the sport of rodeo. 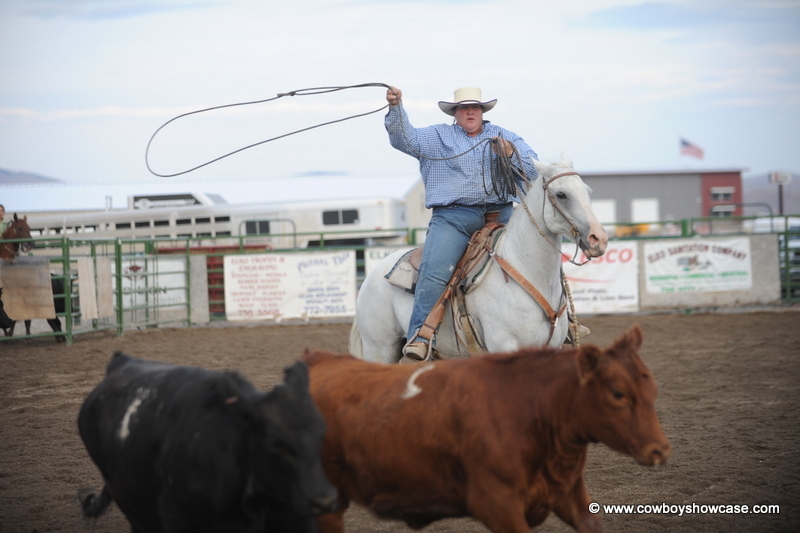 They qualified for the WSRRA Finals in 2015 by winning the Carlin Ranch Rodeo. Lacey Thompson says about herself, "I am married to TJ Thompson. We have three kids, Hannah (age 10), Nate (age 8), and Laura (age 4). I am a teacher in a small, two-room K-8 school in Kings River, Nevada. I grew up on a ranch outside of Winnemucca, Nevada. I showed horses when I was a kid and up through high school. I also high school rodeoed, but I never really liked it very much. I got a full-ride scholarship to play basketball in Kentucky where I got my bachelors degree and have returned to school in the past few years and earned my masters degree. I watched my husband ranch rodeo for years and I always enjoyed watching it. I got on a women's and co-ed branding team at Elko County Fair and I was on Timmy's team a couple of times. I got on my first all girls ranch rodeo team at Burns, Oregon rodeo in about 2008. We got 5th place that year and it was sure a lot of fun. I was addicted!! Monel, and Timmy and her sister, Rita Fowler, and I have been consistently ranch rodeoing on the same team for a couple years. We were lucky enough to get Desi on our team this year when Timmy's sister, Rita decided not to rodeo. I couldn't ask for a better team. We sure have fun together. I'm grateful to God for allowing me to be a part of our team and for the great time we had at the WSRRA finals this year. I like to rodeo and help on the ranch, sing and play the guitar, and enjoy painting when I get a chance. I love to rodeo because I love to compete and enjoy being around the people in the ranching community in our area. Tim Delong, Timmy's dad, sponsored us this year. Tim is a wonderful man I have known ever since I can remember. He is a great cowboy and rancher. We are very appreciative of Tim's generosity and support.” Multi-talented Lacey was also the National Anthem singer for the WSRRA National Finals. Desi Dotson says, "I'm not married, no kids, I do have two border collies. I also grew up in Nevada. I now live in Idaho and train rope horses. I've loved horses since before I was born, my mom swears it. My dad is a cowboy so naturally I wanted to be one. He taught me how to rope and has kept me mounted on some pretty nice horses. I high school rodeoed and just started getting into the ranch rodeos a couple years ago because Monel asked me to be on her team. I instantly fell in love. I love to rodeo because I love meeting people who have the same passion as I do, for the competition, and the thrill of winning. I was lucky enough to be on the Flying M Ranch team this summer and we placed at all three rodeos we entered. We have such a can-do, positive attitude and trust each other to get what we need done. We are a great team and I could've have asked for a better one!" Monel Shelley is the 2015 WSRRA National Finals Top Hand Cowgirl. She explains, "I'm not married and my kids are two black pug crosses. When we show up to rodeos people always know we are there because they see my dogs running around first. I grew up in Burns, Oregon, riding a horse before I could walk. I didn't high school rodeo, I spent my rodeo days behind the bucking chutes flanking bucking horses for my dad or doing the books for a roping.” Monel is the daughter of Glen Shelly, Shelley’s Ranch Broncs Burns, Oregon. She continues, “I've since moved to Winnemucca Nevada. In 2013 I put on the first all-women's ranch rodeo there. I take 20, four-woman teams. It has became a annual rodeo. Competing with and against so many handy women with so many beautiful, broke horses has been a joy of mine for the last couple years. They all enjoy not just having to sit back videoing or cheering on the "guys"! Competing with the Flying M team is a rush. The four of us are the best for each other. We need all the help we can get, anything from ‘slow down’. We especially appreciate the help from our sponsor Tim Delong, husbands, boyfriends, families and awesome horses!" These outstanding women are an shining example of the fact that the Women’s Division of the WSRRA can compete in, enhance and expand the sport of ranch rodeo.